The highest point of construction was completed on Waltham Abbey’s new Leisure Centre with a Topping Out ceremony taking place last week. 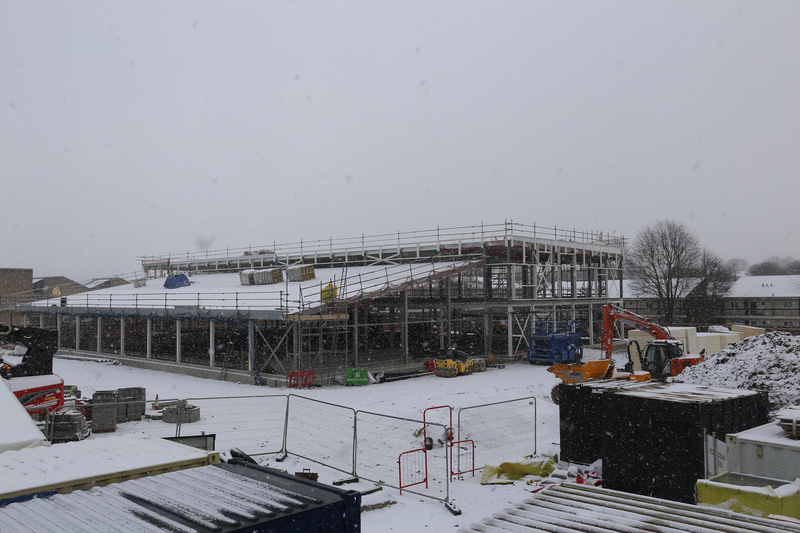 Despite the snow, Leon Furness and Hannah Peacey went to the site on Wednesday 28 February 2018 to celebrate this event on behalf of Furness Partnership. 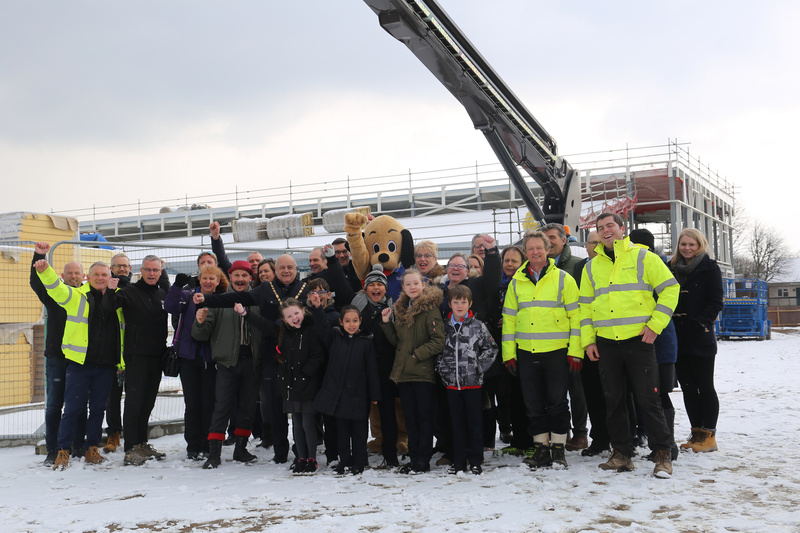 Representatives from Epping Forest District Council, Places for People Leisure, Pellikaan Construction and Pozzoni Architects also attended the ceremony, along with pupils from Hillhouse Primary School and a construction dog mascot. 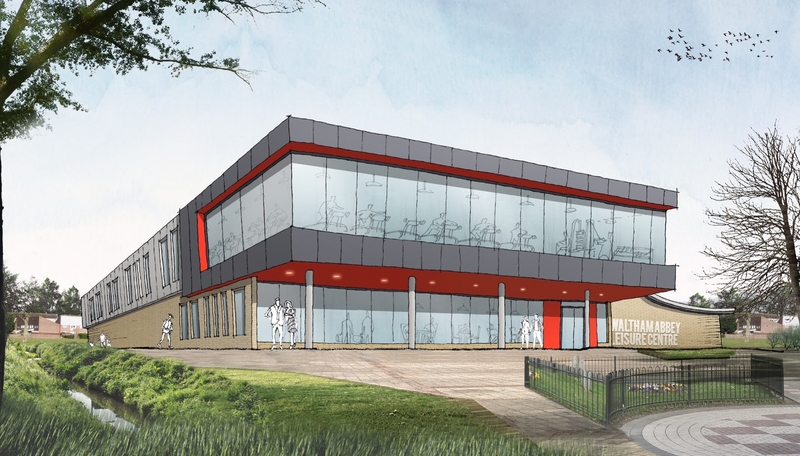 The new Leisure Centre is due to be completed November 2018.